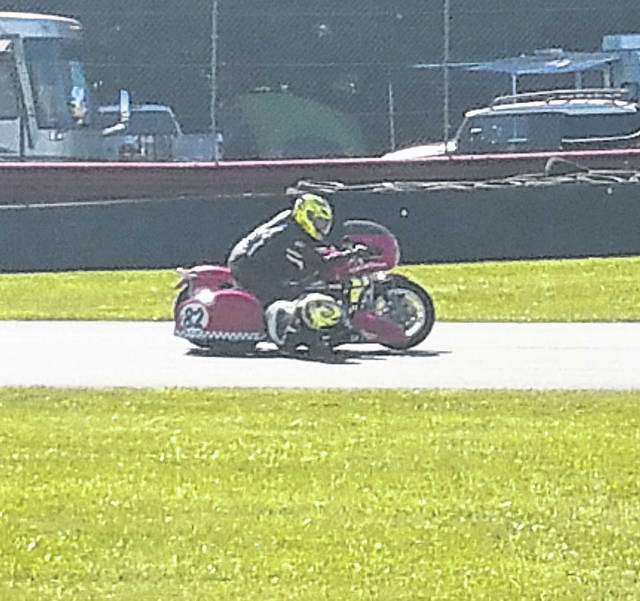 The sidecar motorcycles took part in the racing at Mid-Ohio Sports Car Course during Vintage Motorcycle Days, which ran from July 6-8. Motocross events took place near the campgrounds at Mid-Ohio during Vintage Motorcycle Days. In the infield during Vintage Motorcycle Days, many motorcycles were on display. Motorcycles took to the track at Mid-Ohio throughout the weekend during the AMA Vintage Motorcycle Days. Beautiful weather during the weekend of July 6-8 led to a huge crowd at Mid-Ohio Sports Car Course for the AMA Vintage Motorcycle Days, featuring Royal Enfield. Throughout the weekend, there was a wide variety of events scatter all over the Mid-Ohio facility. Road races were held throughout the day on the 2.4 mile race track, while motocross events and hare scramble were held in the vicinity of the campgrounds. At the Ashland County Fairgrounds, flat track racing was held in the evenings. The annual swap meet was held near the general admission parking area, providing a location for people interesting in parts and memorabilia. In the infield, there were bike shows and musical performances throughout the weekend. Seminars also were held throughout the weekend, as were other attractions such as the American Motor Drome Wall of Death, demo rides, raffles and exhibitions. AMA Motorcycle Hall of Famer Scot Harden was the grand marshal for the event. Having competed in lengthy rallies in places such as Dakar, Senegal, he also presented a seminar about his experiences there and what it takes to compete in such events. 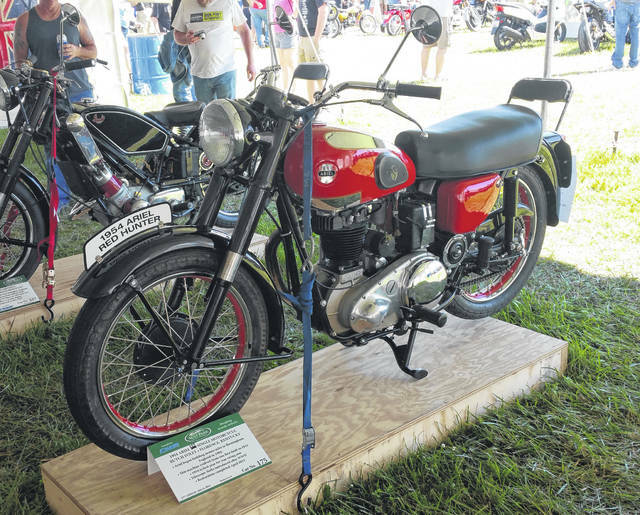 Proceeds from Vintage Motorcycle Days benefited the AMA Hall of Fame Museum, located at Pickerington, a non-profit organization that works to preserve the tradition of motorcycling in the United States. Mid-Ohio’s next major spectator event will be the Honda Indy 200, which will run from July 27-29.